Welcome to Ceramics II, an elective course for students who have taken Ceramics I. Students work on mastery of skills learned in Ceramics I and learning new methods of construction and throwing techniques. Students continue to refer to Art Historical references for inspiration as well as consider the Elements of Art and Principles of Design when planning and executing the assignments. Ceramics II students observe, think creatively and technically, and make decisions thoughtfully and reflectively. 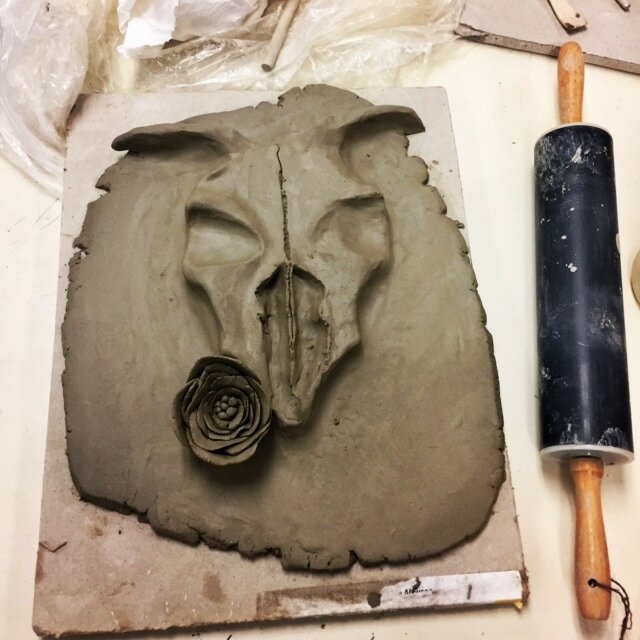 Students in Ceramics II have been working on hand building sculptural forms and an introduction to wheel throwing, or continuing skills on throwing different forms on the wheel. Master a variety of clay building techniques and consider their use as a 3D solution to questions posed with each project. Experiment with a variety of glaze applications and master glazing techniques. 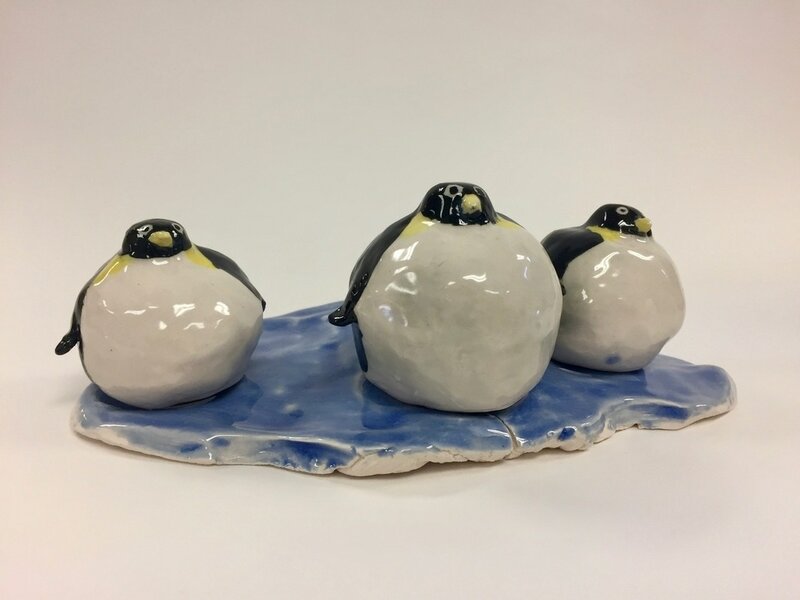 Consider the Elements of Art and Principles of Design when creating their ceramic pieces and be able to articulate the use of those elements and principles when discussing their work. Compile a portfolio of resolved, original 3D artwork at the conclusion of this course. Provide constructive criticism to their peers regarding the work that has been created in class, during formal critique sessions. Engage in reflection to effectively solve visual problems. Become more informed about how arts and crafts were created and their place in our history and culture. 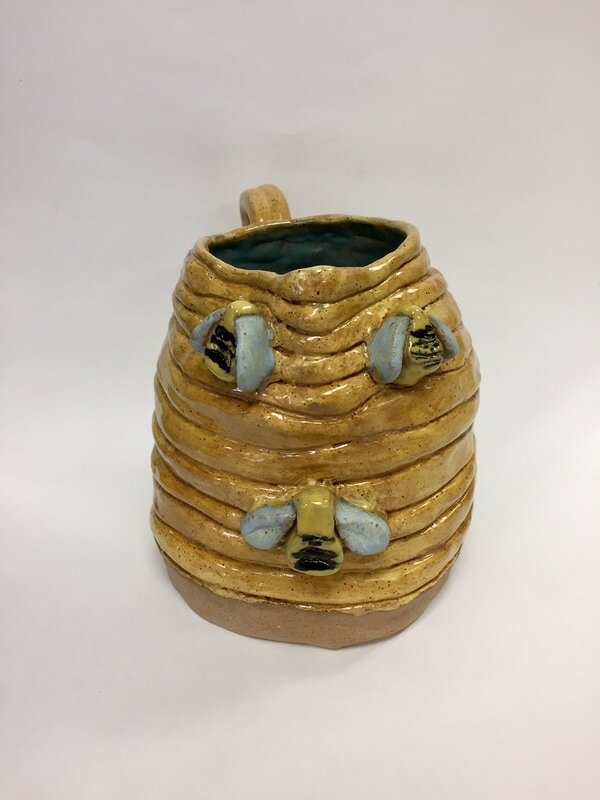 Each student will create a body of 3D work, which addresses the specific guidelines within the Massachusetts Visual Art Curriculum Frameworks. Some projects will address singular objectives, while others will tackle a combination of objectives. Students will use, care and clean up all tools and materials associated with each technique used. In coil building students will master how to make coils of clay and how to join them to construct objects. Joinery methods such as score and slip will be explored. In slab building students will use both the slab roller and rolling pins to create slabs of clay which will be joined together to create 3D objects, tiles, and dinnerware. 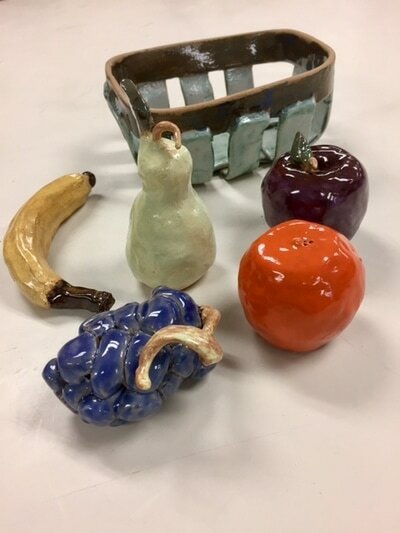 Students will master forms explored in Ceramic 1(bowls, plates, etc.) using the potter’s wheel. Students will use, care and clean up of all tools and materials associated with wheel-throwing. 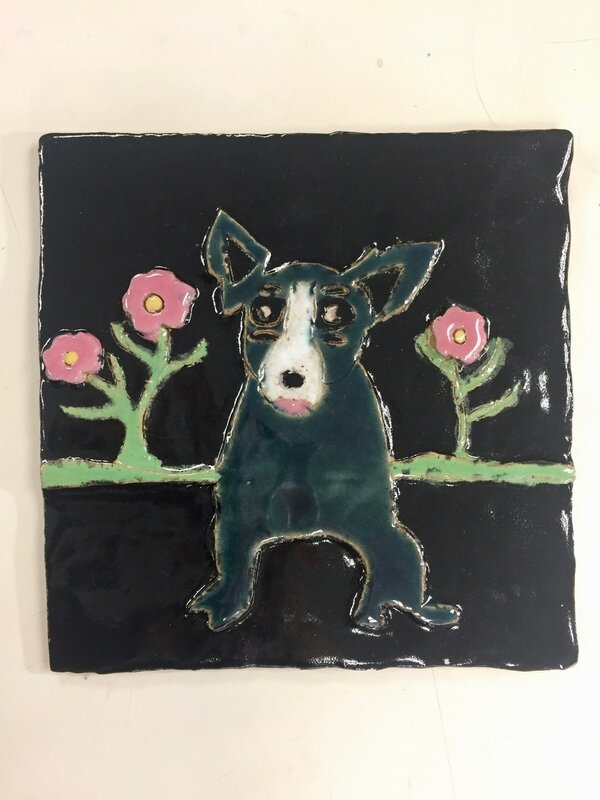 Students will use different types of glazes such as: gloss glaze, underglaze, crystal glaze, pottery glaze and learn how to apply glaze to pottery pieces to enhance the design and functionality. 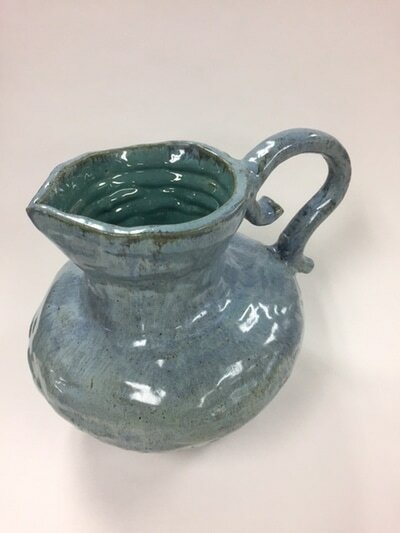 The Ceramics II class will emphasize the mastery of concepts taught in Ceramics I, as well as introduce students to more advanced techniques and experimentation. In this class you will refine hand-building and wheel-throwing techniques, making works with utilitarian and decorative (non-utilitarian) properties. You will learn about the cultural undercurrents of ceramics. You will also consider the application of the principles of design to ceramics works. Punctuality: be on time to class. Put forth your best effort. Come to class prepared to work. Respect that the art room is a shared, cooperative space. You will be expected to show an ability to use, control, and clean up all tools and materials properly and safely. Assume responsibility to make up work due to absence. Receive a conduct grade that is reflective of their level of cooperation, behavior, attentiveness, alertness, interest and level of consistent participation in all classroom activities. A - The student mastered all the course objectives with an outstanding level of proficiency. B - The student mastered all of the course objectives with a commendable level of proficiency. C - The student mastered a sufficient number of the course objectives with a reasonable level of proficiency. D - The student mastered the minimum number of course objectives. F - The student failed to accomplish the minimum required course objectives. A number of tutorials and videos will be posted on the class website for viewing as preparation for class, for homework or for review during class. Relevant handouts will also be provided. In this class students will be exposed to a variety of methods, materials and processes that will be used to uniquely solve visual problems. Lectures and demonstrations will be used to safely introduce new methods, materials and approaches. Introduction to specific ceramic artists and ceramics styles/techniques will also be presented in this format.